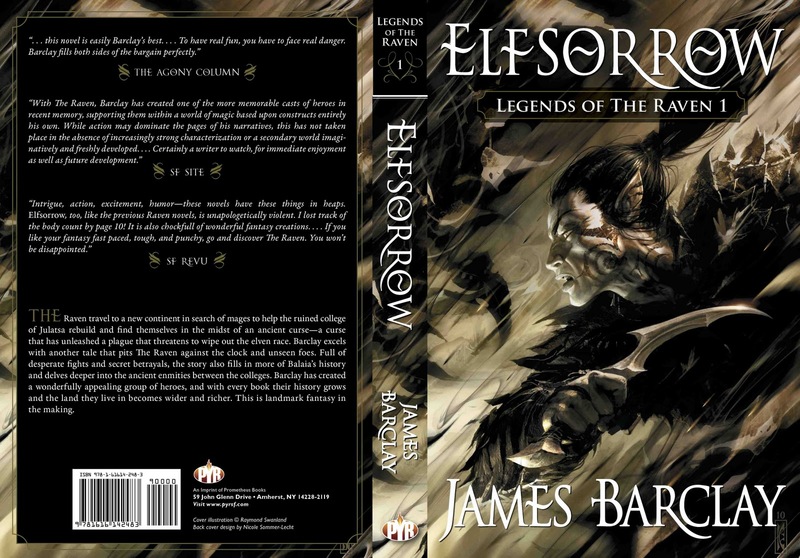 Pyr will release in November a new edition of James Barclay’s first novel in the “Legends of the Raven” series, “Elfsorrow”. Pyr put a lot of effort in the artwork too, commissioning for the covers of their edition of James Barclay’s series one of my top favorites artists, Raymond Swanland. I rarely am a fan of covers centered on a character, but this time I am making an exception. Raymond Swanland made once again a wonderful artwork, stirring my desire to find who this character is (I am not familiar with James Barclay’s works) and inflicting the same excellent sense of motion into his work as he used us with in some of the other covers he made before. Raymond Swanland used more dark colors here, but they are working for me without a problem. I will definitely grab a copy of this edition.